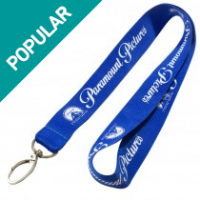 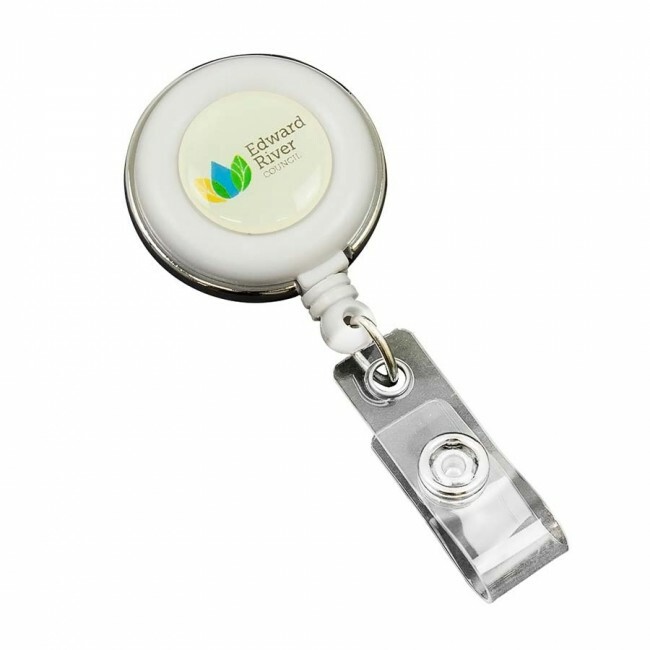 Retractable badge pullers are incredibly convenient for security and badge carrying. 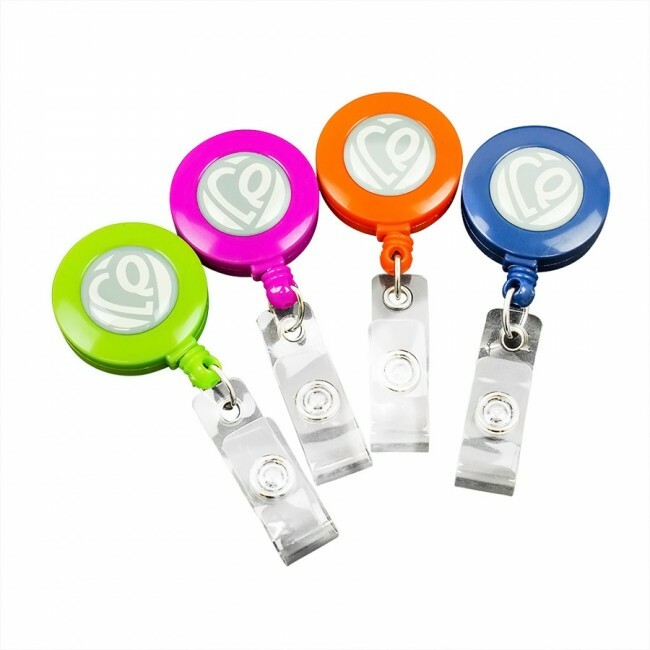 Wear one on your waist and simply whip it out at terminals or checkpoints or attach it to a lanyard for around the neck use. 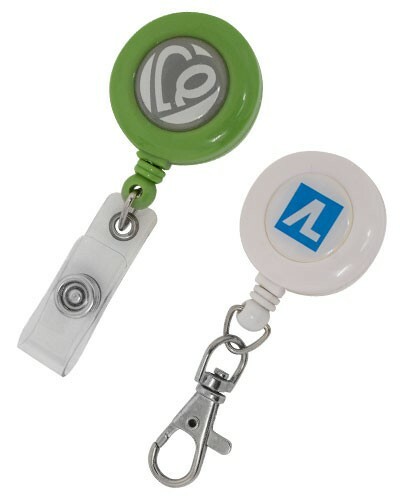 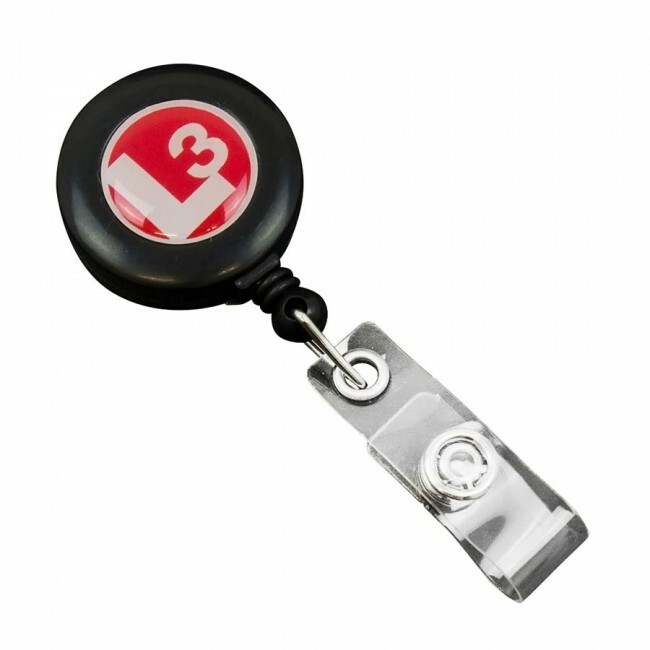 Available in various shapes and finishes retractable badge pullers are also used for light keys and swipe keys. 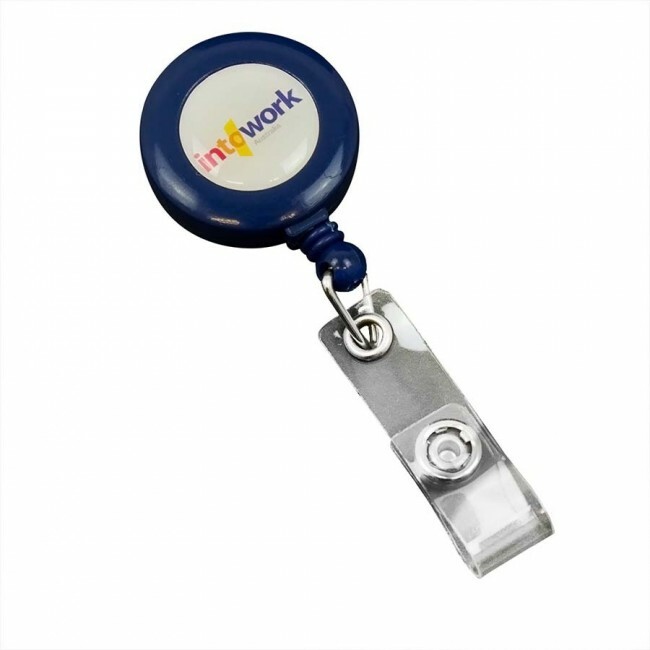 These cute little badge pullers add convenience to workplaces plus their durability and design makes them easy to carry and handle. 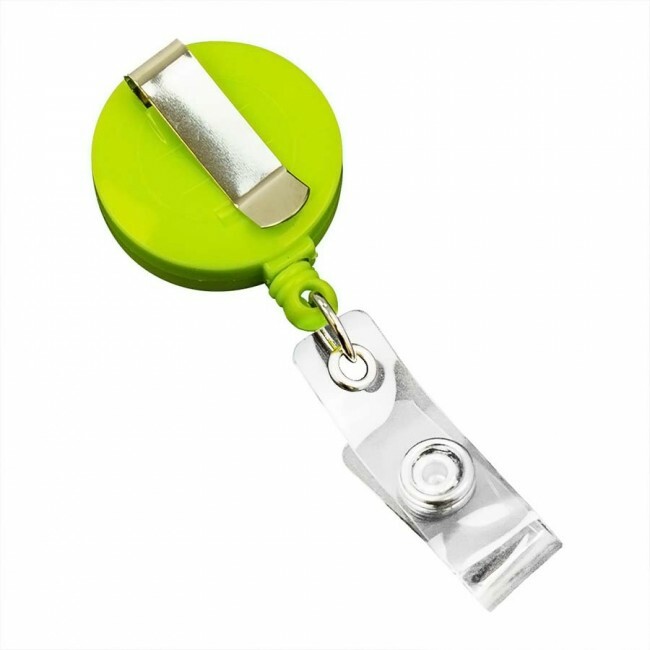 These dome badge pullers come in variants having round pin button plastic belt as well as metal grip so that you can fasten them with your belts or lanyards. 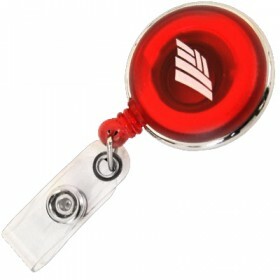 The round photo frame like design of these badge pullers makes them look attractive and amazing. 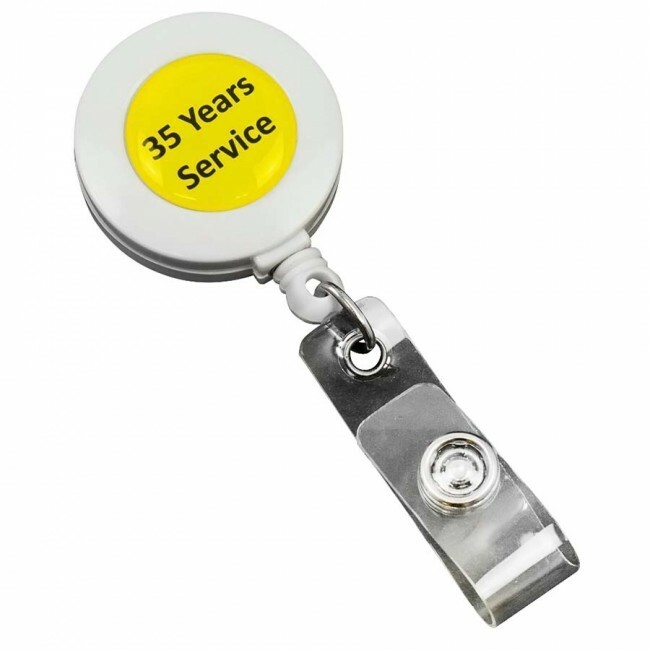 Available in various colors these badges can be customized according to your designs and graphics. 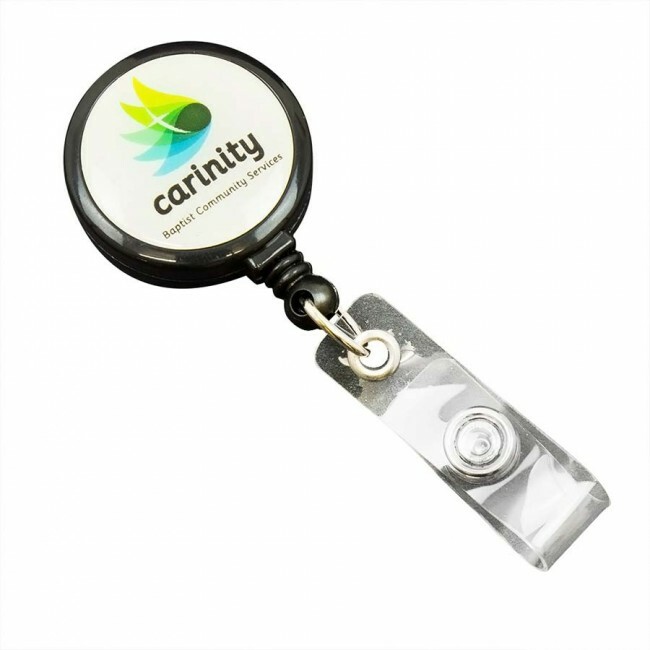 There are many ways in which you can make it convenient for your employees or security guards to carry ID badges while they are at work. 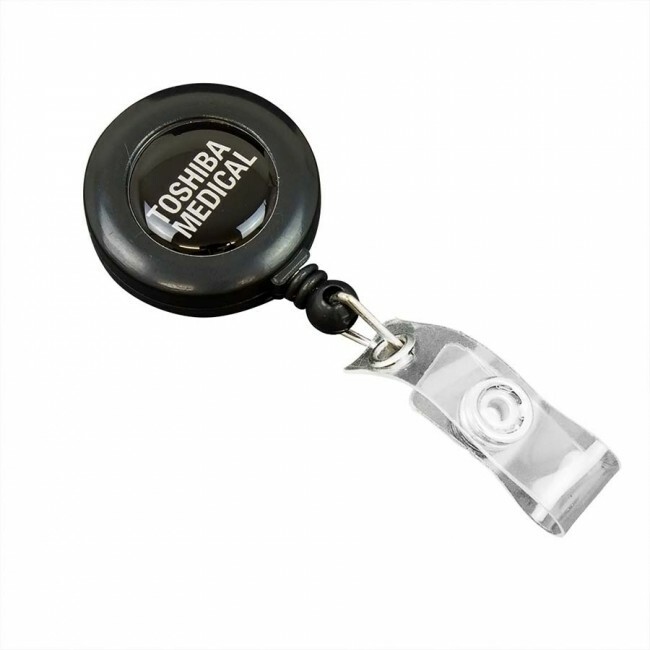 But if you truly want a product that looks really good and functions with thoughtfulness, then you should go in for dome badge pullers. 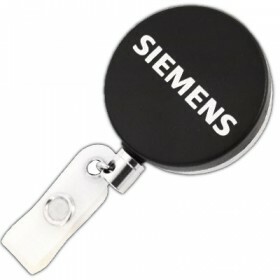 Why should you choose dome badge pullers? 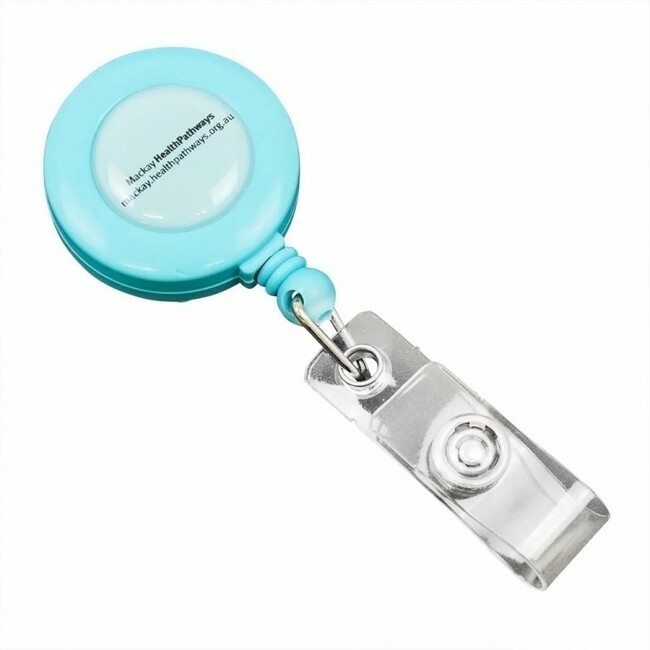 • A lot of convenience because they do away with long strings being suspended around your neck. 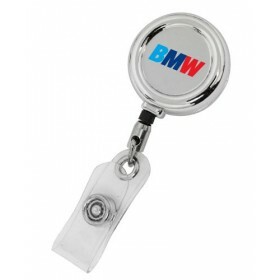 • Dome badge pullers can also be attached to many areas such as the belt or even handbags. 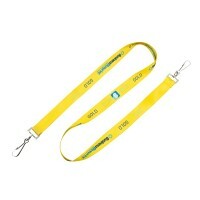 Of course, they can also be suspended around one’s neck in case that is desired. 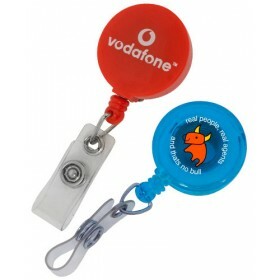 • Lot of flexibility when it comes to printing messages on the puller. 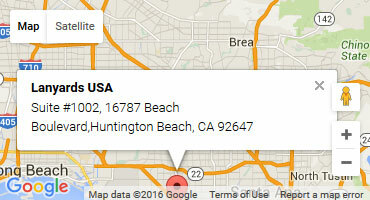 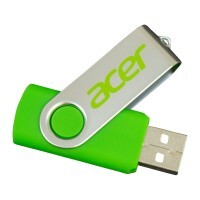 And of course this is very good if your logo features multiple colors and gradients. 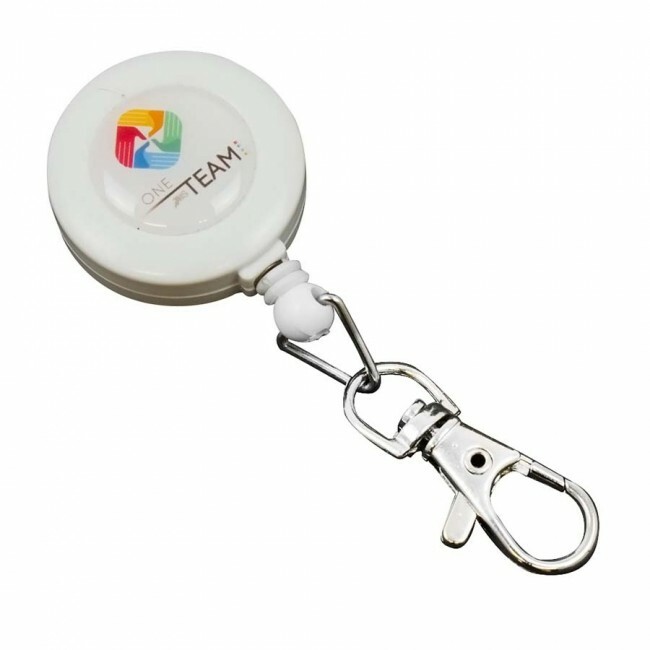 We offer a lot of customization options and you can easily print photographs, logos, corporate branding and so on, on the pullers. 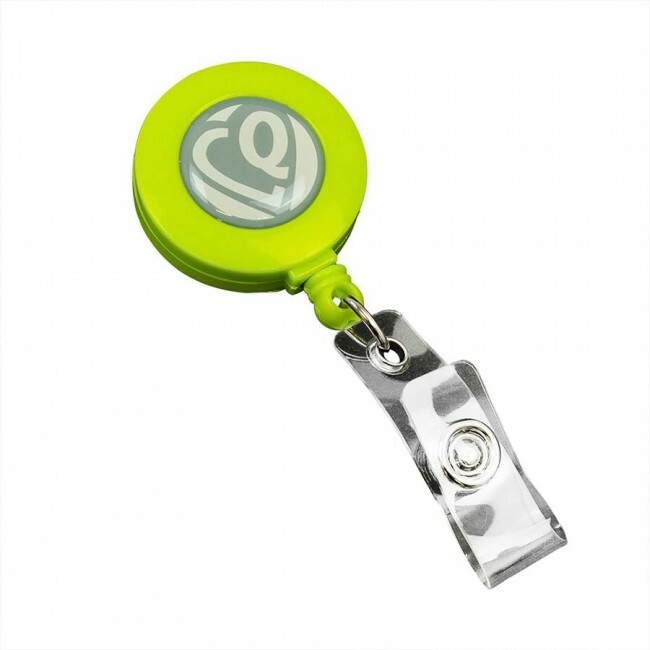 You can also choose to print them and make them with different color combinations so that they reflect your corporate colors as well. 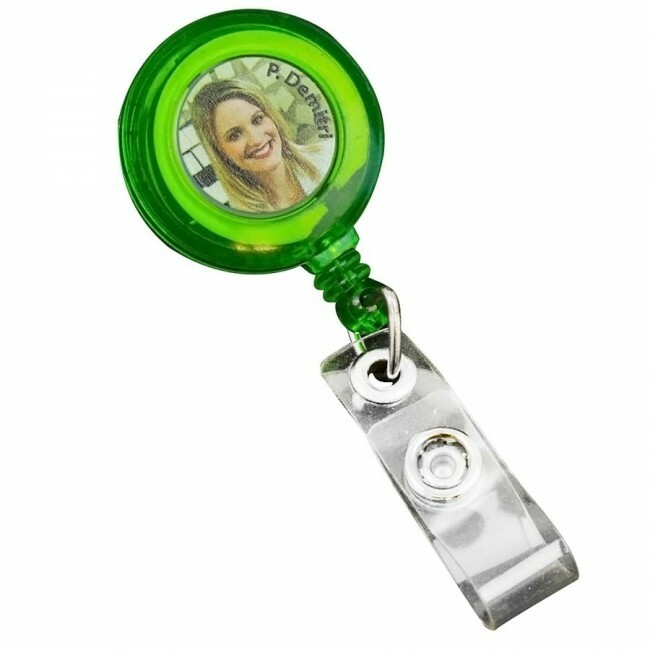 This is also handy if you have staff that need to be identified from a long distance by security staff. 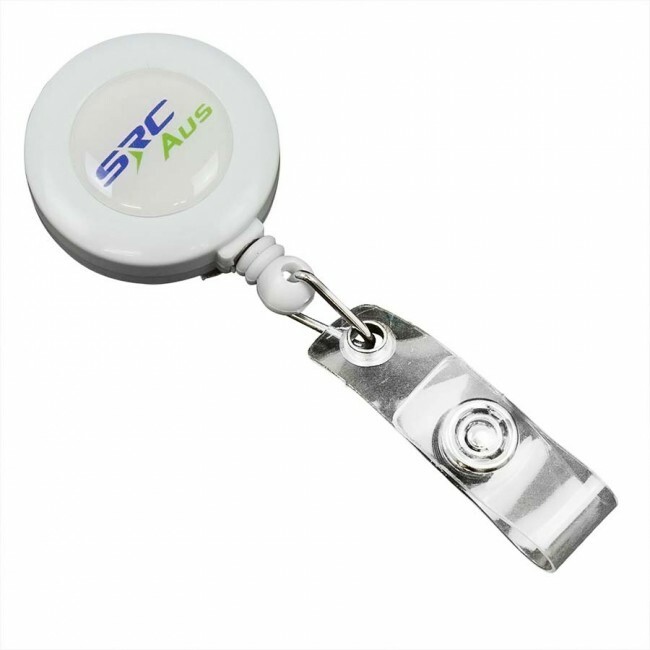 Retractable badge pullers are useful for carrying several kinds of items such as ID cards, swipe badges and even small or light weight keys. 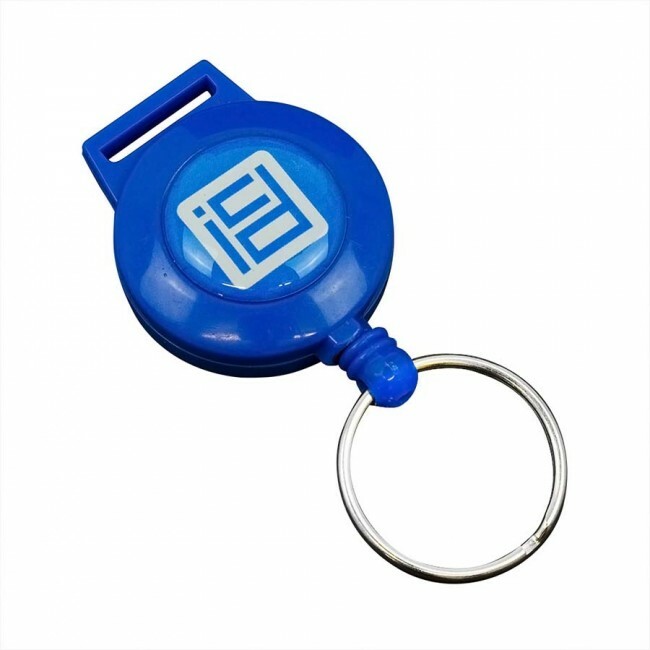 Therefore, any employee of yours will find it more convenient to use this product in order to gain entrance into all the areas that he is permitted. 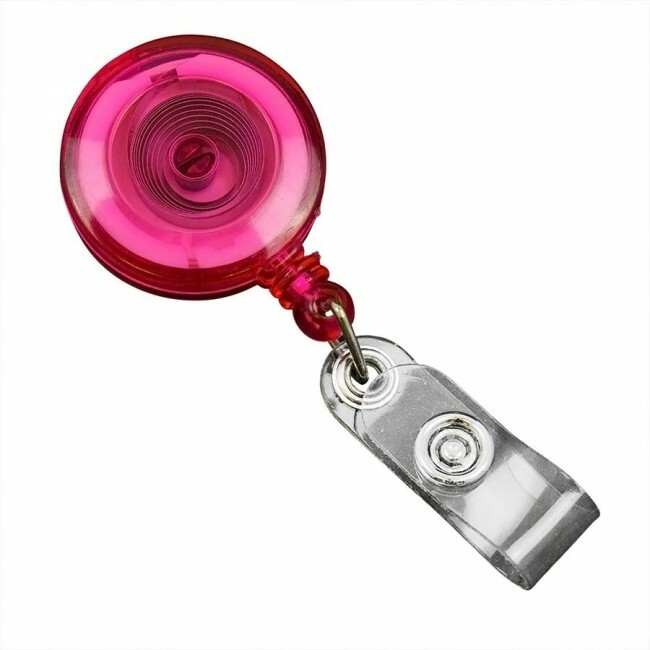 He or she will also be able to move quickly through security checkpoints or locked swipe card doors etc, this saves them time which saves you money in the long run. 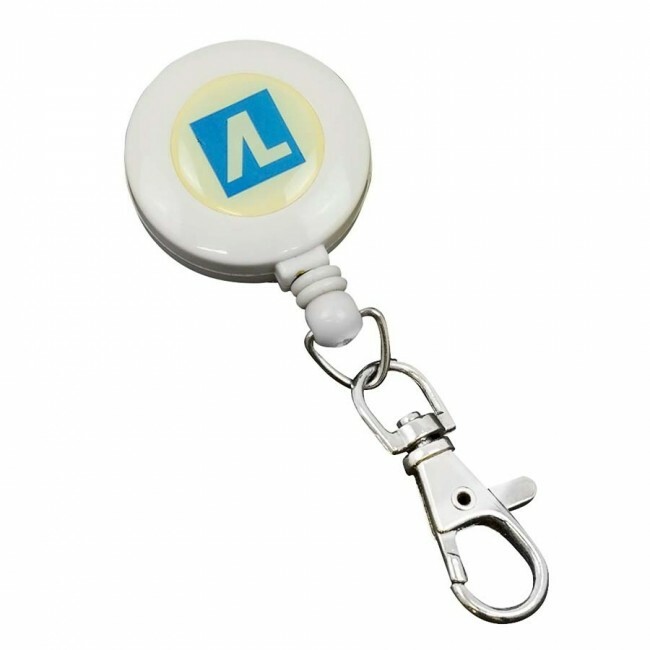 It also makes it harder for staff to lose an ID card or an RFID tag which costs you money. 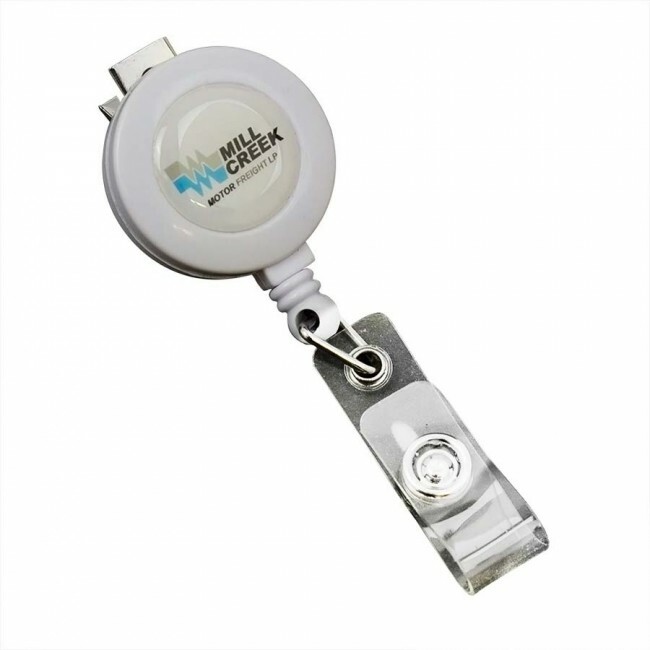 If you have a stacked or tall logo then this is ideal. 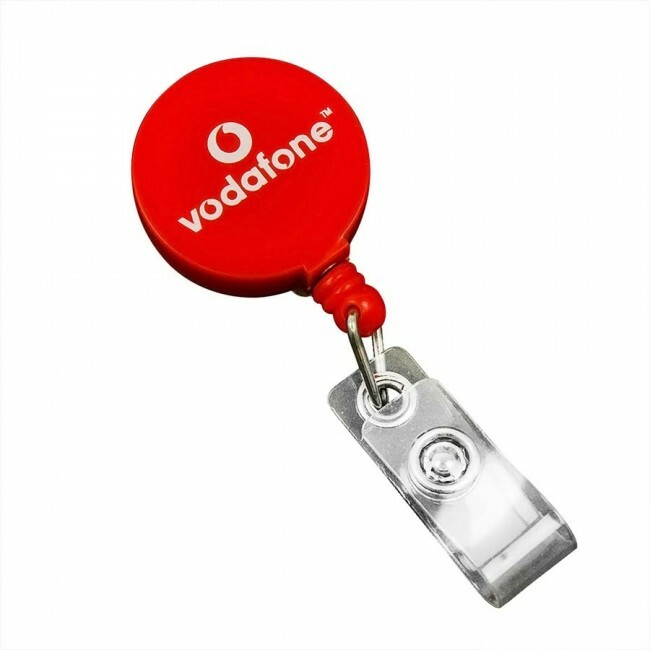 If your logo is long then some design flexibility might be required to fit your company brand onto the puller, many companies choose not to place their logo but rather a website address in a circular button style which is due to the round shape. 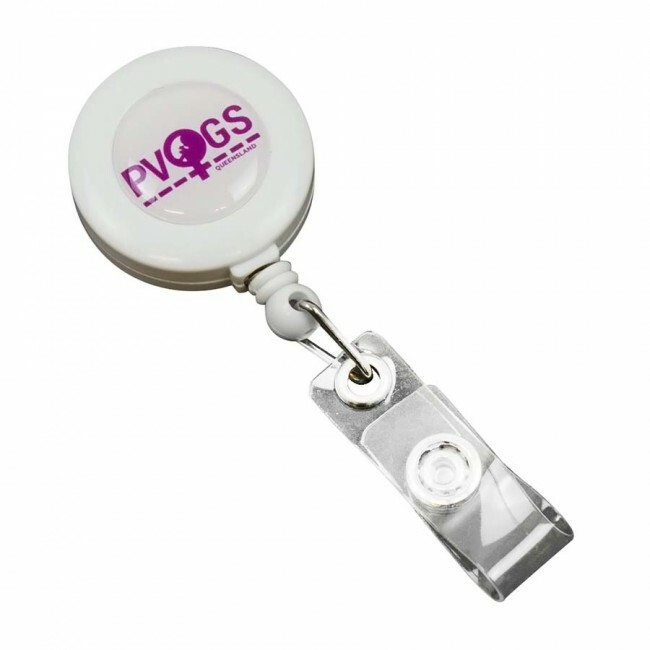 Supply us your logo and we can draft you a completely free virtual preview of the pullers before we produce, just to ensure you get the exact product you require.